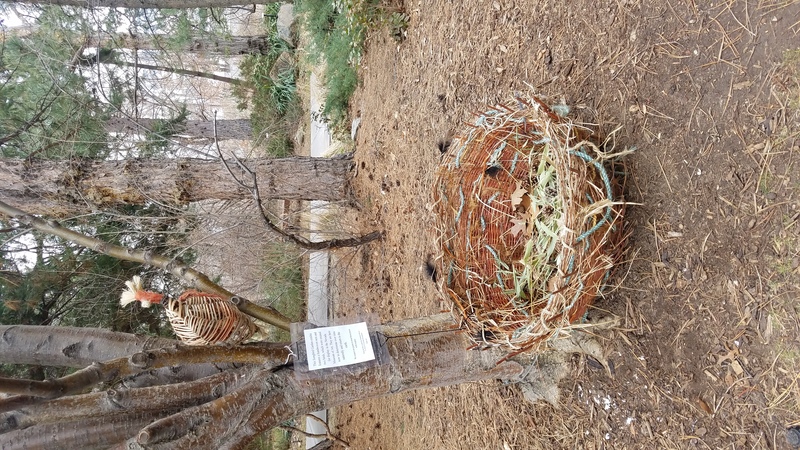 Featured in Songbird Garden are three handwoven pieces, a nest and two birds, that were created by the Great Basin Basketmakers and originally on display at the Nevada State Museum. These pieces include natural materials such as willow branches, alpaca hair, rope, and other fibers. 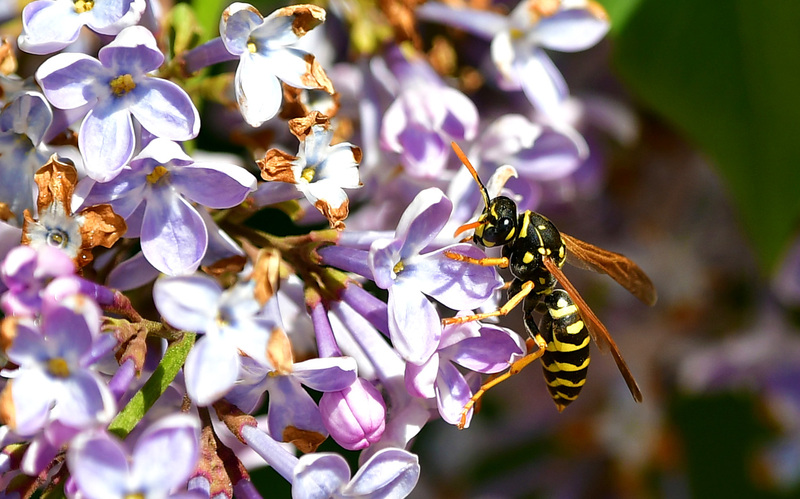 They are here now to deteriorate and return to the earth. Watch carefully as squirrels and birds steal little bits of them for their nests! We hope this exhibit brings our community a little closer to the cyclical nature of life, and the inner peace of knowing all things will be repurposed over time. 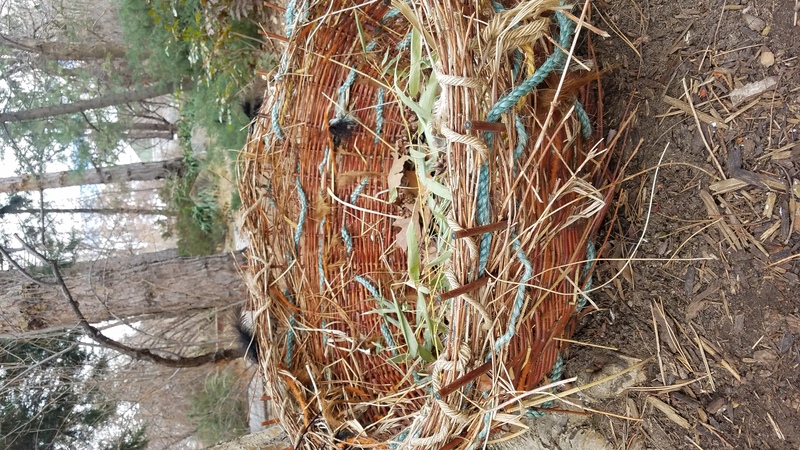 A close-up view of the handwoven nest on display in Songbird Garden. 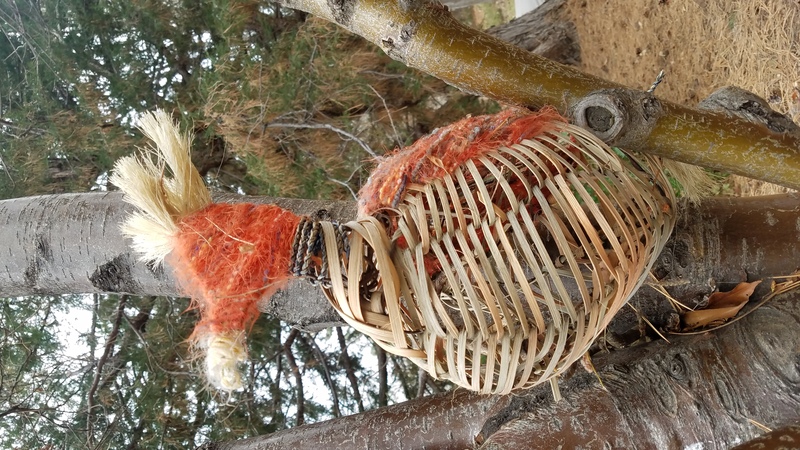 The larger of the two handwoven birds on display in Songbird Garden. 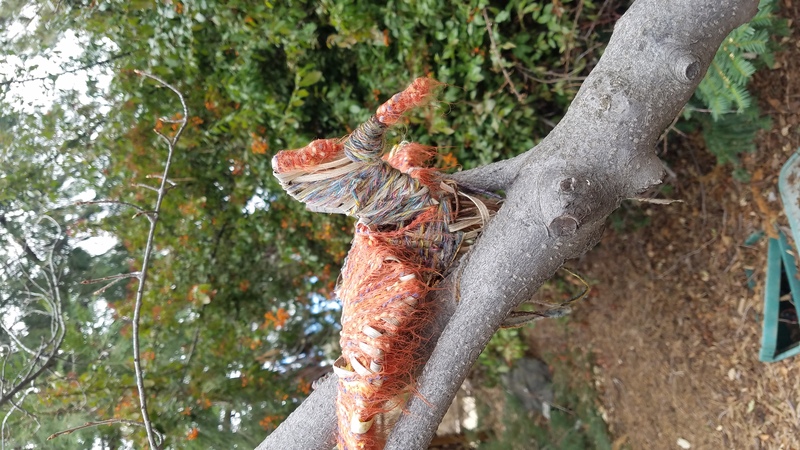 The smaller of the two handwoven birds on display in Songbird Garden.